There are two ways to remove all elements of an ArrayList in Java, either by using clear() or by using the removeAll() method. Both methods are defined in the java.util.List and java.util.Collection interface, hence they are available not just to ArrayList but also to Vector or LinkedList etc. Both elements removes all objects from ArrayList but there is a subtle difference in how they do. The clear() method is straightforward, it traverse through the ArrayList and sets all indices to null, which means the ArrayList becomes empty and all elements become eligible to Garbage collection, provided there is no more references to them. The time taken by clear() method is in O(n), which means the bigger the arraylist the longer it will take to empty it. On the other hand removeAll(Collection c) accepts a Collection and then iterate over List. At each iteration it checks if current element in the ArrayList is present in the Collection c using contains() method, which takes its O(n) time to confirm because it also uses Iterator instead of random access. So overall time taken to remove all elements using removeAll() method is in order of O(n^2) which means time will increase in quadratic of number of elements in array. This difference is not much if your ArrayList is small and just contains 10 to 100 elements but for a big ArrayList e.g. of 1 million objects, this time could be significant. This is also one of the frequently asked ArrayList question from Java Interviews, so knowing the key difference will help you there as well. So choice is yours, I suggest to use clear() if you want to remove all elements from the ArrayList and use removeAll() if you want to remove selected elements given to you in a Collection. Let's see the example of both of them in Java. Here is a complete Java program to remove all elements and make an ArrayList empty in Java. This program demonstrate how you can remove all elements from a given ArrayList by using both clear() and removeAll() method. If you want to remove just single element then you can use the remove() method as discussed here. The program prints all objects of ArrayList before and after calling the clear() and removeAll() method to show that method is actually working and the ArrayList is empty afterwards. You can reuse the ArrayList by clearing it but make sure you don't do that in multi-threading environment e.g. one thread is calling the clear() method while other thread is calling the add() method to insert elements. The ArrayList class is not thread-safe and sharing the same ArrayList between multiple thread will crate thread-safety related problem and erroneous result. 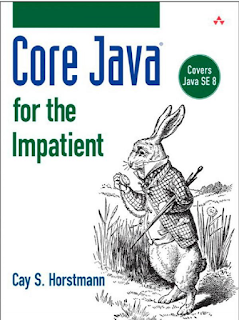 See Core Java for the Impatient to learn more about problems of using ArrayList in muti-threading application. * Java Program to remove all elements of ArrayList. You can see that both the ArrayLists are empty after calling the clear() and removeAll() methods. So its working!! That's all about how to remove all elements from an ArrayList in Java. As I said, clear() takes less time than removeAll() to remove all objects, hence you should always use clear() to make an ArrayList empty. But, if you are not removing all elements and list of elements to be removed are provided to you in a Collection or List then use the removeAll() method.